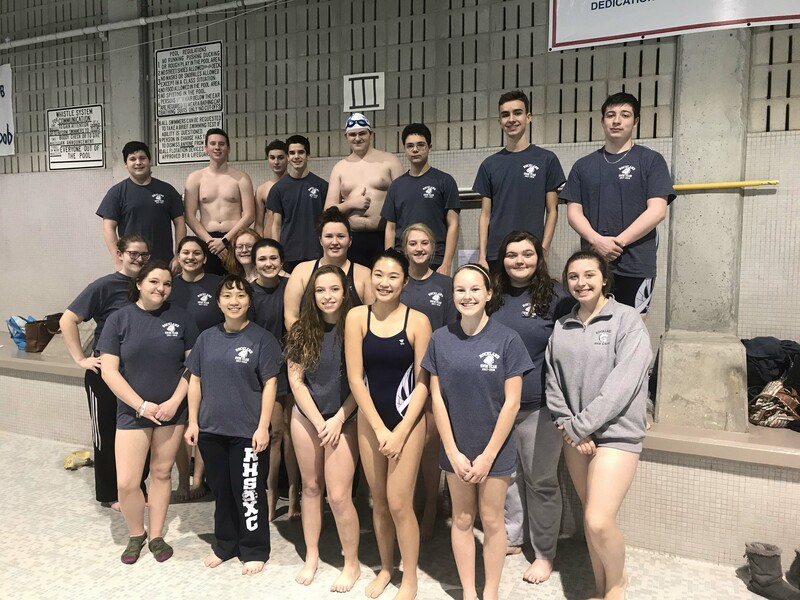 The Rockland High School boys’ and girls’ swim teams honored their seniors on Friday, Jan. 26 before their meet with Scituate. Wins have been hard to come by this year for the hard-working swim teams but that is not the point, says Margolis. “Our goals this season were to have fun and to improve our strokes. Everyone has done so,” she said. She added, “Almost everyone can do a flip turn and most have at least three strokes legal for meets.” These are big accomplishments for her swimmers since many are largely inexperienced unlike many of their opponents. Swimming has also given Ellard the opportunity to meet new people. Coach Margolis would love to expand the program and hopes that with more student participation they could even add a diving team next year.